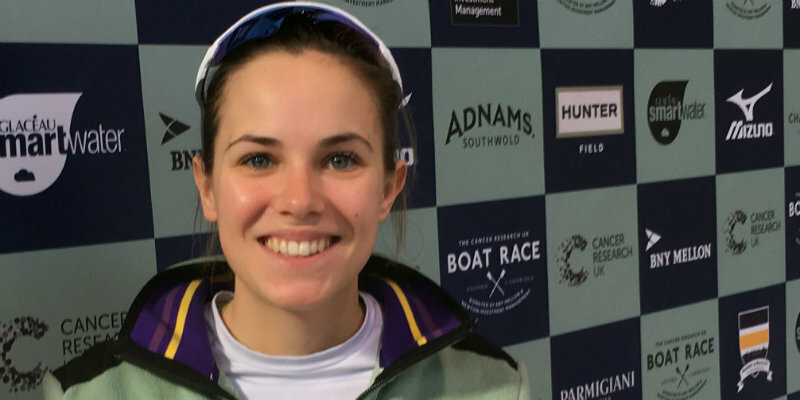 Putney’s Sophie Shapter admits there will be nerves when she coxes the Cambridge crew in Saturday’s Women’s Boat Race, but her 10 years of experience on the famous course will help calm them. Shapter learnt to row at Latymer Upper School in Hammersmith and has also coxed for three leading clubs based on the tidal River Thames between Putney and Mortlake. “We’ll be fine but there are always nerves. We’re more excited than nervous but the nerves are still there,” said 23-year-old Shapter, whose light blues are favoured to win a second successive race. Shapter must be on the alert for the sort of problem that hit Oxford’s women on the start last year, when one of the crew got her blade stuck in the water at the wrong angle – known as catching a crab. Oxford never recovered, although Cambridge were fast enough to set a course record as they ended a run of three successive dark blue victories – and eight wins in the previous nine races. Four rowers, including their French crew captain Myriam Goudet-Boukhatmi, return from last year’s crew. 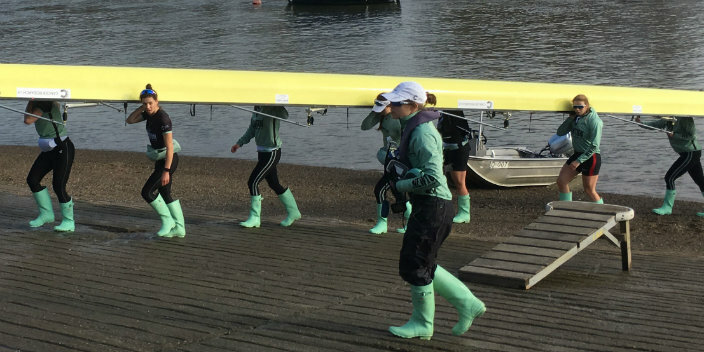 Shapter feels her previous experience of the water has been important this year – as she has coxed the Cambridge blue boat while studying for a Masters degree in Psychology and Education – but she has still learned plenty about her craft. Most club racing on the course is done in time-trial format, whereas the Boat Race features two crews racing side-by-side, fighting for a narrow stream of the fastest water up the middle of the river. “It’s really valuable to know the river. I know the landmarks and stream really well; I know how the conditions can change [quickly],” she said. “I’ve learned a lot this season. Because it’s side-by-side you can’t just hog the best line. You have to make sure you give them enough space. The two stations [sides of the river] is something I’ve never had to think about before. After winning two national schools titles at Latymer, Shapter moved as a 16-year-old to Thames Rowing Club in Putney. She has since coxed at neighbouring London RC, as well as coaching for the London Youth Rowing programme. Last summer she raced for Chiswick’s Tideway Scullers School, in a crew that included this year’s Oxford University president Katherine Erickson. The crew reached the final at Henley Women’s Regatta and American Erickson said of Shapter: “She’s a very good cox’n, very experienced, very aggressive. Especially in the short race at Henley Women’s, it’s good to have a cox who’s that feisty. The two women are still on the same Tideway Scullers WhatsApp group but have kept their distance from each other in the months leading up to the race. Four-times Olympic champion Sir Matthew Pinsent will umpire the Women’s Boat Race, although he has missed a month of preparation with the crews while working for BBC television at the Winter Olympics. Overall, Cambridge have 42 Women’s Boat Race victories to Oxford’s 30. This is the fourth time the race has taken place on the same day and on the same course as the men’s. The light blues are also favoured to win a second successive men’s Boat Race, which starts an hour after the women at 5.30pm.